Price per dive & person, valid for 1 to 9 dives. Choose one of our dive packages starting at 10 dives to receive great discounts! 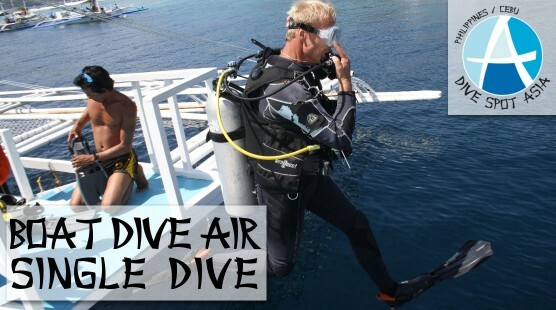 Our boat dives (1,770 ₱ per dive & person, min. 2 dives per trip) are performed with regular air. If you are trained in Nitrox diving you may also choose to dive with Nitrox instead (see price list for extra costs). Included in the price are soft drinks, snack, coffee, tea, drinking water, guide and speedboat.